Years of unrestricted expansion as well as an uncontrolled usage of chemical pesticides are a couple of factors that have contributed to climate change and brought about various disasters and diseases, all of which have deeply impacted our lives and the environment. A few years back, BABA has started promoting and organising various educational activities aimed at educating farmers, households and consumers on the importance of environmental protection as well as going organic, with the hope that everyone will start to recycle and protect the environment to maintain our current state of living. 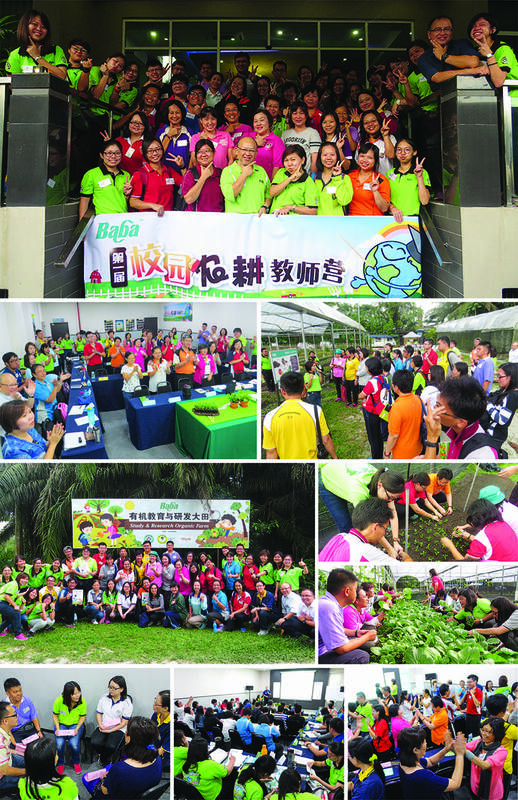 Back in 2015, BABA started the “Help Malaysia Organic Grow” event in which classes were conducted for farmers, subsidies were provided for those who wished for their nurseries to be certified organic and various other initiatives were made available. This project has helped in uniting more people to promote the importance of environmental protection from the context of farming activities. One of the more important initiatives that were taken was the “Junior Landcare Programme”. BABA hopes to be able to work together with schools and through the farming programmes organised, educate students on the idea and awareness of environmental protection. BABA also hopes that, through the various exciting gardening activities that were held in schools, students will be able to enjoy the fun of gardening and grow closer to the environment, which will indirectly teach them to cherish the Earth’s meagre resources. Students are future consumers, parents and teachers who are aware of the importance of protecting the environment and share the knowledge with them would be able to assist them in building a better society and environment in the future. Today, with the teachers from all around Malaysia, we wish to be able to learn together the basics of school Landcare Farming so that together, we are able to protect Malaysia’s environment and secure the future of our children! 1384, Atas Lot 841, MK-1, Jalan Tasek, Simpang Ampat, 14120 Seberang Perai Selatan, Malaysia.